You know how your skin reacts to the tiniest change of conditions – to heat, cold, air-conditioning, sometimes even to a late night? Almond oil is nature’s answer – a swiftly absorbed, super-skin-friendly oil which Weleda takes from organic sources and whisk into this ultra-light lotion for sensitive, combination and dry skin. With no fragrance at all, simply natural ingredients, it’s a cool, light, calming balm for over- reactive skin. Usage: Smooth the lotion on after cleansing, morning and evening, to face, neck and décolletage. Leave to sink in before applying any make-up. 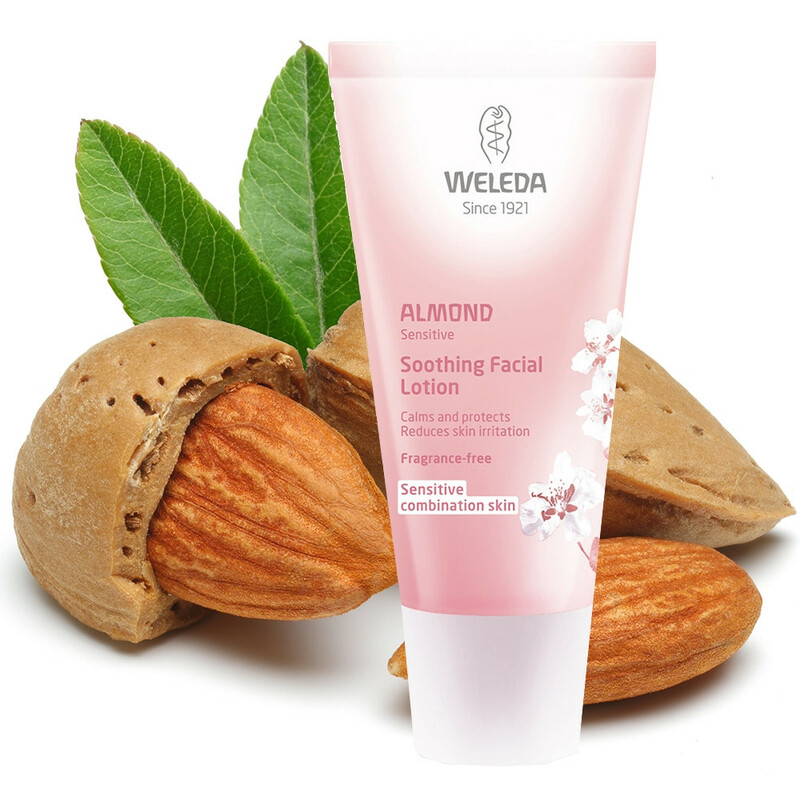 For a richer moisturising effect, try Almond Soothing Facial Cream formulated especially for sensitive combination skin. Ingredients: Water (Aqua), Prunus Amygdalus Dulcis (Sweet Almond) Oil, Alcohol, Glyceryl Stearate SE, Glycerin, Hydrolyzed Beeswax, Prunus Domestica Seed Oil, Xanthan Gum, Lactic Acid.